WELCOME TO PRADERA! YOU WILL BE AMAZED BY ALL THIS HOUSE HAS TO OFFER. ON THE MAIN LEVEL YOU WILL FIND A LARGE FAMILY ROOM, LIVING ROOM, DINING ROOM, AND KITCHEN FEATURING GRANITE AND SS APPLIANCES. STEP OUTSIDE AND ENJOY THE CUSTOM OVERSIZED COVERED DECK COMPLETE W/ LIGHTING, SPEAKERS, AND GAS HOOK-UP. THE MAIN LEVEL ALSO INCLUDES THE MASTER SUITE (WITH 5 PIECE MASTER BATH AND LARGE WALK IN CLOSET), TWO 2NDARY BEDROOMS, FULL BATH, PWDR BATH, OFFICE W/ FRENCH DOORS, AND LARGE LAUNDRY/MUD ROOM. THE FULL BASEMENT HAS PLUMBING ROUGH-INS AND 10 FT CEILINGS. DONT MISS THE 3 CAR GARAGE. THIS HOUSE FEATURES BUILT-IN SPEAKERS, 8FT DOORS, HUNTER DOUGLAS WINDOW COVERINGS, CUSTOM INTERIOR PAINT, NEWER EXTERIOR PAINT, UPDATED LIGHTING/PLUMBING FIXTURES, UPDATED FLOORING, 2 YR OLD KARASTAN CARPET, UPDATED COUNTERS, HICKORY CABINETS, AND REMODELED BATHROOMS. THE HOUSE HAS A NEWER LENNOX HYPOALLERGENIC FURNACE. CONVENIENTLY LOCATED WITH EASY ACCESS TO DINING, SHOPPING AND ENTERTAINMENT. 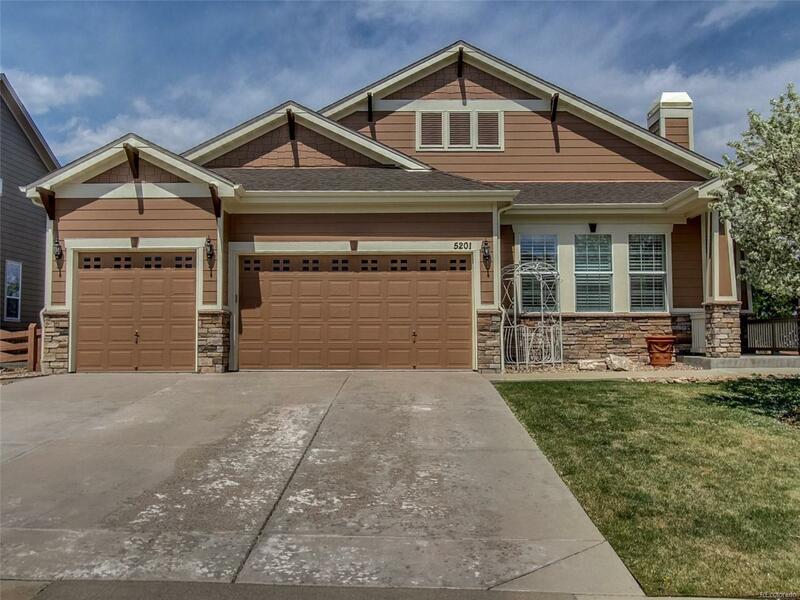 Offered by Homesmart Realty Group Of Colorado.